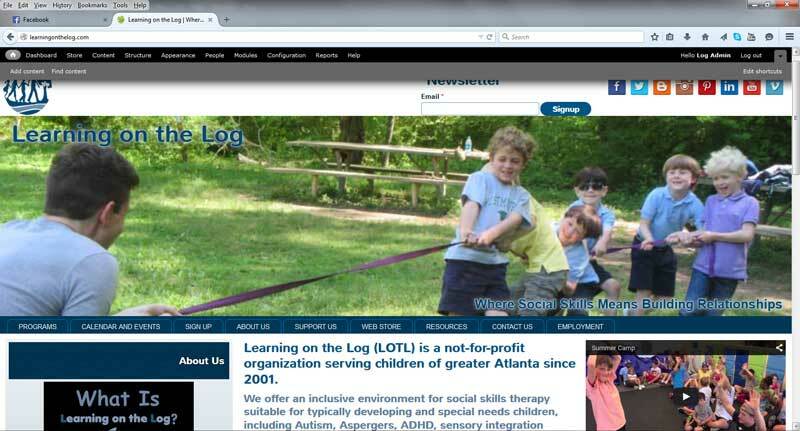 A custom-built comprehensive solution in Drupal 7 for Learning on the Log activity program and preschool in Sandy Springs, GA. Custom responsive theme in HTML5/CSS3. Customizable per-page screen-width header images. Constant Contact integration with newsletter signup. Custom organization of content on each page, including accordion blocks and page-width layouts. Custom blogs where needed for administrators. Instructed and advised staff on how to maintain all content and updates. Learn more about the development of this website on the blog.